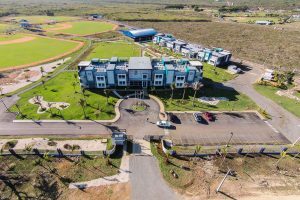 The Seattle Mariners selected PARIC to be their Owner Representative on their 24-acre baseball academy project located in the Dominican Republic. The $7 million academy includes a 25,000 sq.ft. building housing 70 players and their coaches/staff, a full kitchen and administration offices, 14,000 sq.ft. club house consists of lockers for each player and staff members, showers, training rooms, and a weight room. Finally, the site has three full fields, one half field, batting cages, agility field, observation tower, and a guest villa.